I’ve lived in Queens since March of 2008. 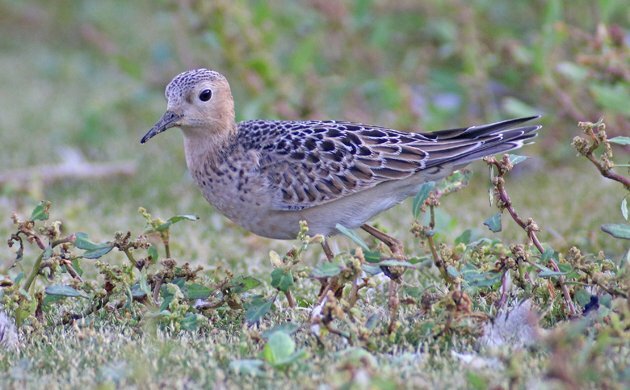 Over three hundred species of birds have crossed my field of view in Queens in that time including thirty-eight thirty-nine species of shorebird. Why is that thirty-eight crossed out? 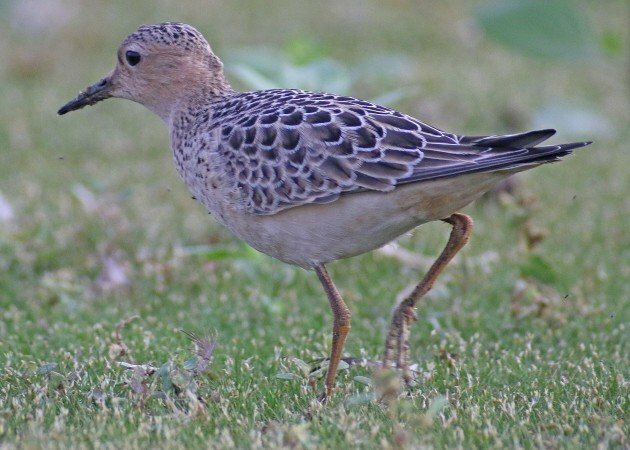 Because I finally saw a Buff-breasted Sandpiper in my home borough! Finally! Finally! Finally! Buffies are a very fine shorebird. They are also not very interested in shores, preferring to visit places like sod fields during their southerly migration, which is the only time they would pass through Queens. And, believe it or not, but Queens is rather lacking in habitat like sod fields. 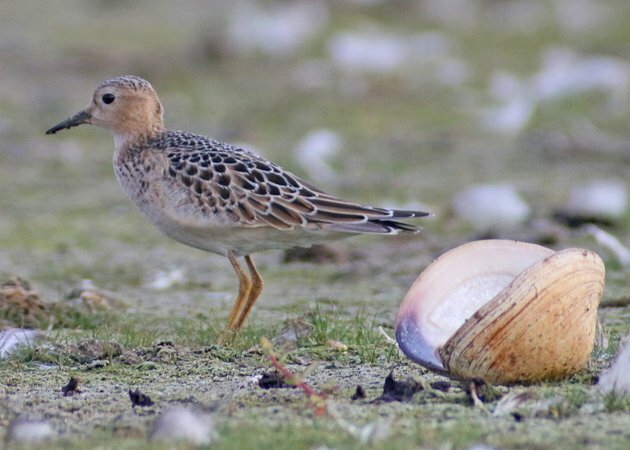 So we tend to only get a couple of sightings a year, usually out at Fort Tilden where there are some wide open athletic fields or on the East Pond of Jamaica Bay Wildlife Refuge, especially when water levels are very low, which leaves enough shoreline for plants to grow. Year after year birds would be reported only for me to miss them. Then, this week, one was reported mid-week from the East Pond. Two more were seen on Friday morning. I tried my luck on Friday evening when I got done with work but I couldn’t come up with one. Yeah, I was pretty stoked. Especially as it was only about ten yards away from us. 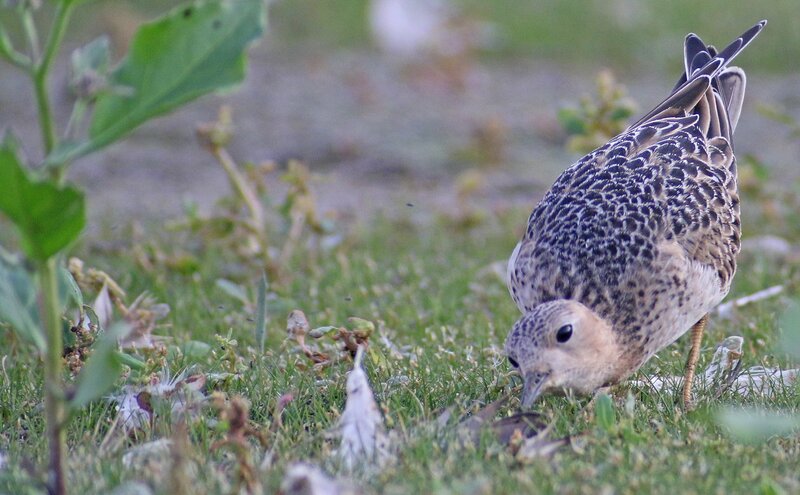 And as Seth worked on sending an email out to the listserv a second bird popped up! Two Buffies! Now that was shorebirding! I think that such a sighting deserves a bunch of pictures, don’t you? Buff-breasted Sandpipers turn their backs upon shellfish. Even walking away from me this bird looked good. I really have nothing else to say. Number 305 in Queens! Awesome. Congrats and thanks for sharing the nice pics! I need to check the airport to put this tough one on my Costa Rica list. Patrick, I’d give it a bit – we still have lots coming through up here. And thanks! 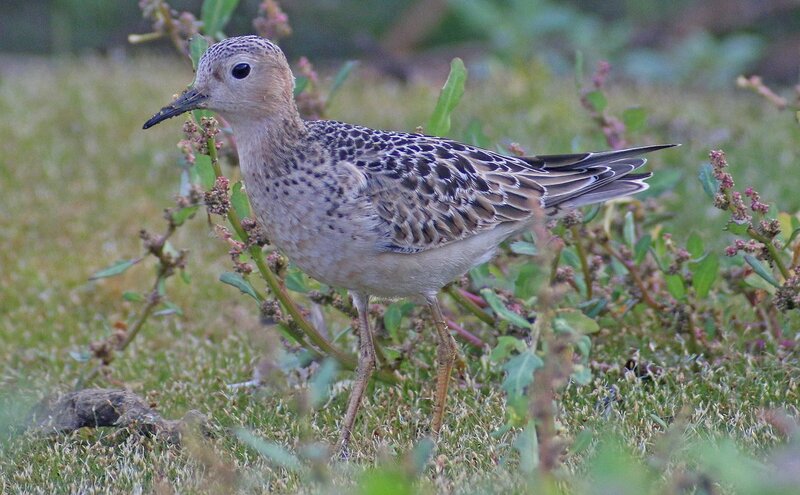 Congratulations on seeing this special shorebird.